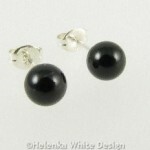 If black is your favourite colour, then you will love these black Onyx Sterling silver studs. 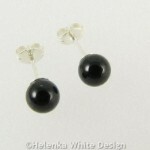 They are made with small black Onyx beads and Sterling silver studs. 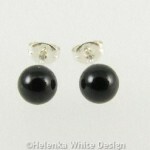 Only one pair of this kind is available. 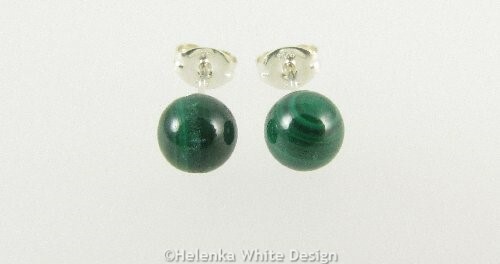 Classic green Malachite Sterling silver studs – made with semi-precious green Malachite beads. 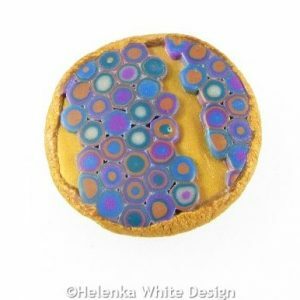 Gold Klimt brooch – handcrafted with polymer clay in gold, purple and various other colours. 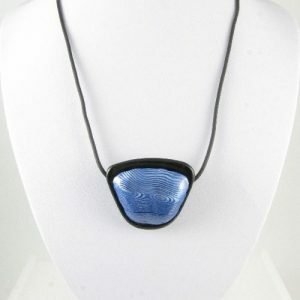 The textured back of the brooch is in purple. 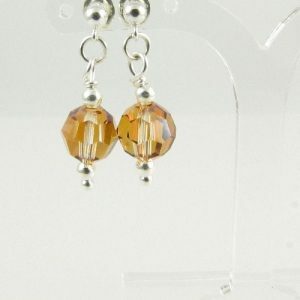 Sterling silver studs with Swarovski crystals and Sterling silver beads. 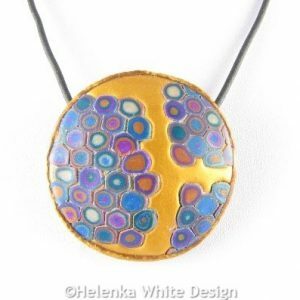 Round gold Klimt pendant – handcrafted with polymer clay in gold, purple and various other colours. 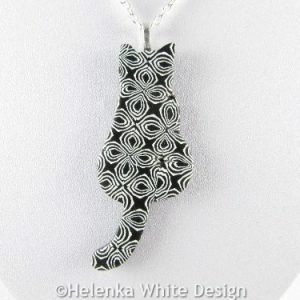 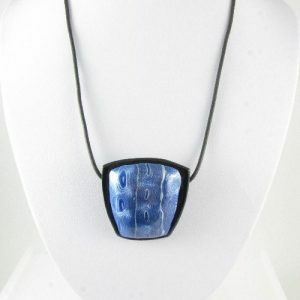 The pendant hangs on a flexible buna cord and closes with a silver plated lobster clasp.